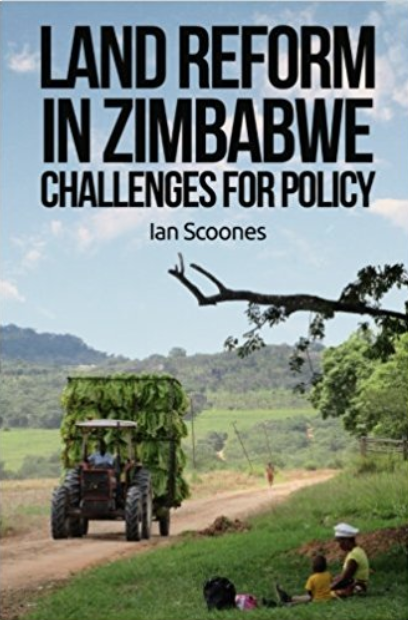 At the end of January, the influential London-based think tank, Chatham House, hosted the launch of a new book on Zimbabwe’s land reform – Zimbabwe Takes Back Its Land. It generated some UK media coverage which in turn provoked an outcry from some activists based in London, the Zimbabwe Vigil. Outside Chatham House, they organised a small protest, and handed out leaflets with commentaries from Ben Freeth, Eddie Cross (MDC Policy Coordinator General) and Charles Taffs (President Zimbabwe Commercial Farmers Union). Why is it that the debate about Zimbabwe’s land reform continues to generate such heat, perhaps especially in London? Why was it that a protest (admittedly in the end of only a few people) was organised about a book reporting empirical research? Why is it that those who oppose the land reform cannot engage with the empirical data? Why, after so long, can the debate not move on? “Fast Track Land Reform is fast becoming an interesting area of intellectual and policy exchange as more empirical evidence of its outcomes emerges. The most recent event aptly titled Land Reform in Zimbabwe Revisited: A Qualified Success? took place at Chatham House on the 31st of January 2013. The event focused on the evidence emerging from a recently published book, Zimbabwe Takes Back its Land (Kumarian Press) written by Joe Hanlon, Teresa Smart and Jeanette Manjengwa. Even on a cold winter evening in London the event had all the elements of intrigue that have come to be associated with the Fast Track Land Reform (FTLR) in Zimbabwe. There was a capacity audience, a highly polarised debate and even a small, spirited but peaceful protest mounted by Zim Vigil outside. Sir Malcom Rifkind MP was the discussant. Many may not know that Sir Malcom lived and worked in the Rhodesia in the late 1960s and wrote a very insightful MSc thesis on the Politics of Land in then Rhodesia in the 1960s. His views on the book were very carefully calibrated- recognising the rich historical analysis and the candidly presented empirical evidence. He focused on his own recollection of the polarised discourse in the Rhodesia parliament in the 1960s and also reflected on the post-independence dynamics. Addressing directly the now infamous 5th November 1997 Clare Short letter (about the British Government not taking responsibility to fund land reforms), Sir Malcom maintained the official UK government line that this should not be a British responsibility but one for Zimbabwe to prioritise. Teresa Smart and Jeanette Manjengwa gave insights into the key findings of the book, arguing that notwithstanding all the criticisms of Fast Track, there is evidence that many smallholders who got land are using it to better themselves. Much of the discussion on the new book focused on its findings and it was clear that the polarisation that has characterised the land reform discourse continues. Some of the early evidence soon after 2000 pointed to a decline in production and productivity but more recent findings are showing a need to relook at what is happening on the land. The publication in 2010 of Zimbabwe’s Land Reform: Myths and Realities marked a turning point in what has become a highly polarised discourse on the FTLR in Zimbabwe. This book was not only a marker of a new counter-narrative, seeking to challenge a generally accepted view that Fast Track Land Reform had been an unmitigated disaster, but it also sought to introduce some academic rigour into what had become a politicised lay and professional media discourse. Adding new evidence, Zimbabwe Takes Back its Land supports this new narrative. It argues that FTLR in Zimbabwe has worked well for some, but could work better for more people with additional support. There is evidence of beneficiaries investing in and using land to improve their lives. This should not have been a surprise, because we know from past experiences of self resettlement that eventually people use the land to better themselves with or without state or other support. At the Chatham House meeting there was a wide-ranging discussion, including on how the FTLR empowered women; lessons from Zimbabwe for South Africa; the need for support services for the beneficiaries; the need for more analysis of those who lost out; issues of employment and labour on the FTLR farms and patterns of emerging social differentiation on the farms. Others raised the contradictions between FTLR as being a success in tobacco production, while the country is still appealing for food aid. There were also challenges from the Commercial Farmers Union representatives who had flown in for the meeting on some of the figures used in the book. Even on a cold evening, Zimbabwe’s land reform still produces some heat. 1 How can key actors begin to recognise and accept this growing body of evidence without being seen to endorse the methods used to achieve asset transfer? With South Africa facing similar challenges, any suggestion that massive dispossession undertaken at speed can produce good results in the long term would create problems for some interest groups. But then is dismissing FTL as an unmitigated disaster still tenable in the face of growing and credible evidence? We know that land reform can work to create the basis for long-term development (e.g. from Japan, South Korea, Taiwan and China), but what conditions need to be put in place now? 2 If it is accepted that the FTLR has worked to improve some (not all) people’s lives should it therefore not be accepted and supported (with all its history and faults)? This is particularly important for donors whose next question would be how to engage with the beneficiaries without being seen as endorsing the process through which these outcomes were achieved Indeed Sir Malcom Rifkind was very clear about his disdain for the methods of Fast Track Land Reform in Zimbabwe. It seems to me that this dilemma can be resolved if the legal issues that remain unresolved are addressed- especially the issue of compensation. This is for the GoZ to work through and can potentially unlock further support for the FTLR beneficiaries. 3 With elections looming in Zimbabwe the various political groups also have a crucial dilemma. Accepting that FTLR has worked for some and is beginning to yield results hands over political advantage to those who led or allowed this to happen. Rejecting the evidence though begins to sound insincere. It seems to me that this one will only be resolved after the elections! Insightful article and summary questions. Thank you very much. The writer concludes that: “How well asset transfers work of course will depend on a lot of factors and the book presents stories show cases of why institutional support, recapitalisation, skill and individual drive all matter”. Well, good to see you arriving at this conclusion. This was the point made loudly and consistently by the Commercial Farmers Union throughout their endeavours to discuss reform with the Mugabe regime. It was of course seen at the time as “resistance to change”.